The band was formed in 1999. There have been several member changes before becoming the current lineup. They are a rock band who have musical roots in rock, blues, country, and reggae. 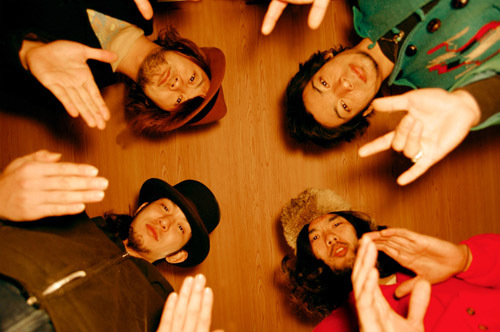 The lyrics written by vocalist Matsumoto, portray everyday life from a unique standpoint. His fantastic sense has attracted many fans. The illustrations drawn by the leader Okubo is original, which makes for an attractive artwork. With the vast number of mediocre bands these days, tobaccojuice’s artistry and power of expression has been rated highly. Many musicians are fans of theirs. Many consider them to be the ones to lead the next generation rock scene with their friendly melodies.